Cutaneous melanoma is developing into a major public health problem worldwide. Incidence differs greatly across the world with high incidence rates in the Unites states, Europe and especially in Australia and New Zealand, but relatively low incidence rates in Central and South America, Asia and Africa. In Europe, melanoma incidence is rising, especially in the Northern and Western European countries. This is also true for the United States, where melanoma is one of the few cancer types which showed continuously increasing incidence rates from 1975 onward. Also in the Netherlands, incidence of melanoma keeps increasing (figure 2). Although incidence in Australia and New Zealand remains the highest in the world1, incidence has been observed to stabilize in younger individuals in both Australia5, as well as in Canada. 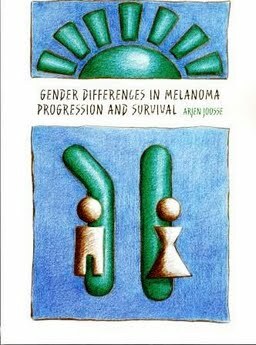 Differences across gender in melanoma incidence have been noted for a long time.